Being a nerd, geek, or otaku carries with it a certain stigma. It’s not something a lot of people bring up a lot in school or a job interview until you’ve established a certain safety zone. So Haruka Nogizaka, the elegant princess of super-elite private Hakujo Academy, would probably suffer a bit of a reputation hit if people knew she was a huge otaku. She’s super cute and smart, and otakus are worthless, gross slimeballs, right? Nah, geeks come in all shapes and sizes, but try telling that to the snobbish clientele of a private high school for rich kids. Nogizaka Haruka no Himitsu is the story of Haruka’s attempts to indulge in her hobby, while keeping it secret from everybody – except Yuuto Ayase, the one boy who stumbled upon her secret and now must help her keep it. Now, there’s a lot going on here. 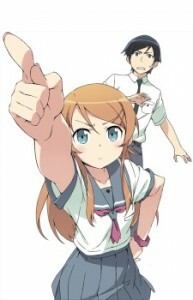 Kirino Kousaka is basically perfect. Good grades, well-liked, part-time model, excels at whatever she sets her mind to. But for some reason, she’s an absolute terror to her older brother, who doesn’t seem to do much to deserve it. So that makes things kind of awkward when older brother Kyousuke discovers that not only is Kirino a huge otaku in possession of certain 18+ materials she shouldn’t have at her age, but also that she seems to have a fetish for the “younger sister” genre. So this series is about otaku culture, but there’s also some pretty unavoidable incestuous undertones. The series knows this and deals with it – though it’s debatable whether it does it the right way. The secondary cast in OreImo is small, but a big part of the reason to watch the series. I recommend the series, but I cover that recommendation with the disclaimers and warnings found above. There isn’t any real adult content in the series, but there’s no avoiding the fact that it dabbles in the potential of a romantic relationship between siblings. Do with that information what you will. Love anime and want to get a look at how anime is made, while also watching an anime? Also, do you like it when the main characters are predominantly female? Awesome. 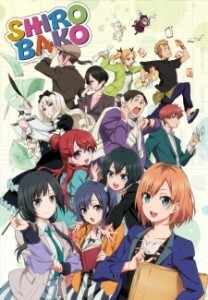 Here’s Shirobako, an anime about girls trying to make it in anime production. Shirobako means “white box,” which is an industry term for a pre-release version of an anime. And that’s a great title, because Shirobako is as much about the anime industry itself as it is about the people in it. There are great characters and stories in Shirobako, and it is a great behind-the-scenes look at the industry itself, if you’re the type of fan who wants to better understand how your favorite series goes from artist’s pen to Blu-Ray disc. The funny thing is, I’m not sure if this is really about otaku. But it is about people who are passionate about anime, and I say that counts. Like Shirobako, the story of Bakuman follows people who, while maybe not otaku in the truest sense, are passionate about drawing manga. 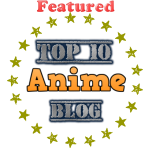 Bakuman is to manga what Shirobako is to anime – a look behind the scenes at how the industry works, from the perspective of those trying to be successful. Oddly enough, Bakuman comes from the same people who made Death Note, and eventually that becomes very clear, as there are some ideas that seem suspiciously familiar to Death Note thematically. Eventually, Bakuman starts to feel almost autobiographical about its creators in some ways. It’s a very honest look depiction almost painfully so at times, and the cast of characters is as broad as it is diverse. Bakuman explores different types of creators and genres, the pressures they face to make deadline, the different relationships they have with editors, the physical tolls they face to make weekly deadlines, and even how rankings determine which series get cancelled prematurely. 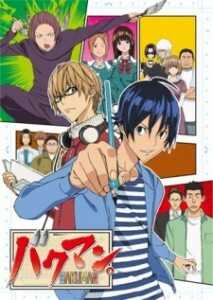 Bakuman is a fascinating look at manga creation with a cast that is worth the price of admission. It also has three seasons, so strap yourself in for the long haul. 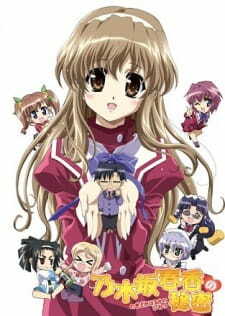 Most of the time, anime about otaku is about them doing otaku things. “Join these super nerds as they nerd out about anime and stuff, just like you,” is basically the point. Yowamushi Pedal is a different kind of story. 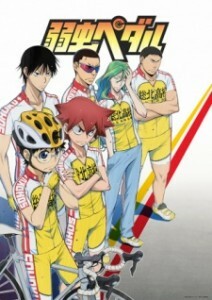 It features a timid otaku named Sakamichi Onoda who just wants to join his new high school’s anime club. Unfortunately, the club has closed down due to lack of members. So whatever, he’ll just make the usual 90-kilometer ride to Akihabara on his bike to make himself feel better. Turns out, riding 90 kilometers on your bike several times a week makes you pretty good at riding a bike, and so it doesn’t take long for Sakamichi’s cycling club to notice he’s riding up their training slope effortlessly, singing an anime song about princesses. The gauntlet is thrown down: Sakamichi is challenged to a bike race, and the cycling club will join up to re-form the anime club if he wins. Well, this series is about cycling, so you can probably guess how it goes. But it is about an otaku who holds true to his hobbies while branching out of his comfort zone and joining a sports club. Sakamichi is still an otaku, and he feels like he doesn’t fit in with a bunch of jocks, but over time, they accept him and he accepts them. And there are bike races involved, too. You have been warned: you may come out of this with a much greater appreciation for the sport of cycling. what about otaku no video?